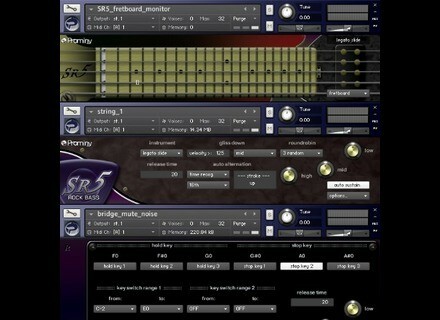 SR5Rock, Virtual Bass from Prominy. The SR5Rock is a virtual guitar instrument designed to capture the sound of Musicman StingRay5 and includes approx. 15 Gigabytes / 14,000 samples. 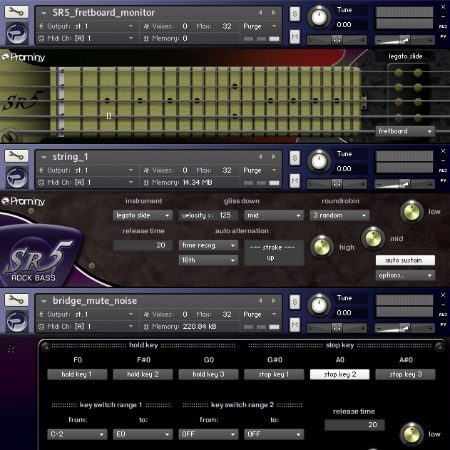 SR5 SPM (Super Performance Multi) that enables keyboard players to instantly access and play various bass guitar playing techniques in real-time. Samplecraze Equalisation Primer Tutorial This is a detailed video tutorial for beginners and intermediates on the subject of equalisation covering filters, slopes, various types of EQs and the terminology used. Plektron WTComp Plektron has announced the release of WTComp, which is described as an analogue tube compressor, is available for Windows as a VST effect plug-in and is free. Relab Development LX480 Lite Relab Development has announced the release of an emulation of a "legendary" hardware reverb.